It's not often that the introduction of new classmates is the subject of a research project, but Thomas and P!nk are a little different. Standing just 58 centimetres tall, these NAO humanoid robots are disrupting learning (in the nicest possible way) at schools in South Australia. The three year research project aims to explore their impact on teaching, learning and the curriculum. It's a collaboration between the Association of Independent Schools South Australia (AISSA), which owns robots, and academics from Swinburne University, the University of Queensland and the Queensland University of Technology. The initial seed for the project was sown in mid-2014. 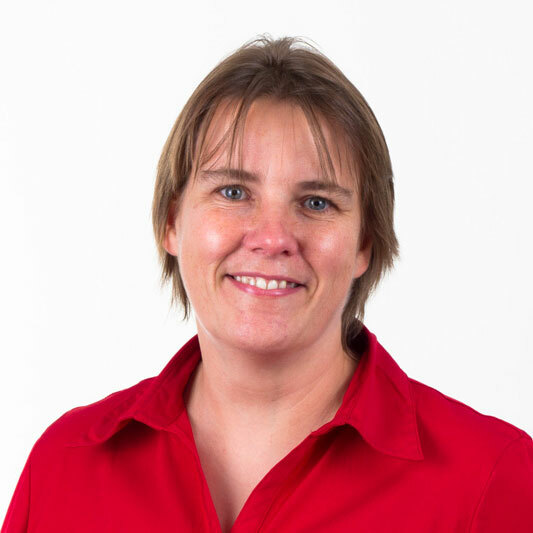 'We had an opportunity to have a look at what a NAO robot was and Carolyn Grantskalns (Chief Executive of AISSA) and I believed they would have an impact on learning and teaching,' Williams says. The Brainary, which had the NAO franchise in Australia, connected AISSA to Dr Therese Keane from Swinburne University and two of her colleagues, Dr Chris Chalmers from QUT and Marie Boden from UQ. The Association's 94 schools are invited to submit proposals detailing how teachers and students plan to use the technology during the term-long loan period. Successful applicants receive Thomas, P!nk, additional software, and professional learning support. Image supplied by the Association of Independent Schools South Australia. Teachers and students can access the technology at different entry points, depending on their skills and experience. 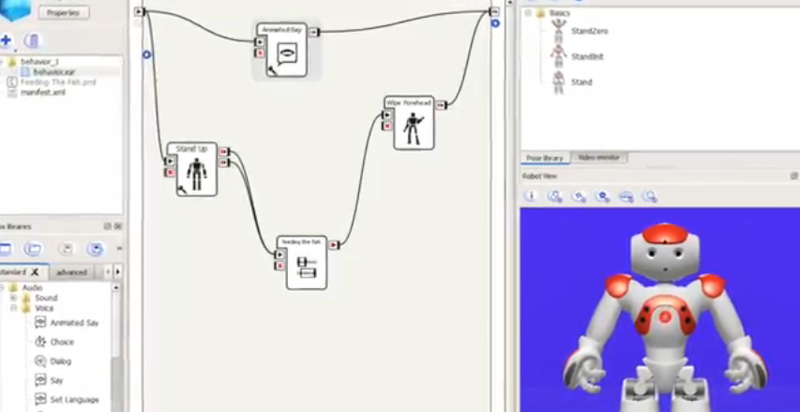 The NAO robot has pre-programmed responses to a range of questions and commands but students can also program it to do specific things such as dance moves, and sync them in time to music. The programmable software ranges in complexity from simple drag and drop actions, to manual coding in Python. 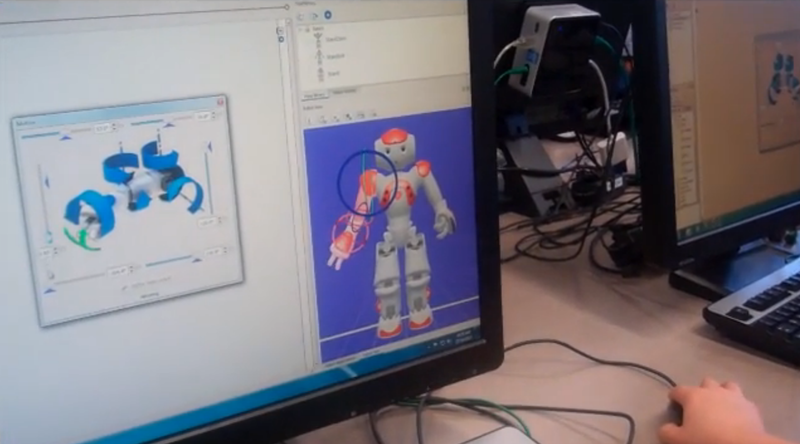 Not every student needs to have access to the robot at the same time – they can test out their code on a 'virtual' computer version before hooking up to the real thing. Williams also recalls a school where Year 3s used a timeline to manually code and insert sound files. The robot described what was about to happen before carrying out the actions, but one student discovered that by introducing parallel flowcharts it was possible to make it talk while doing the actions. Teachers have also been using the robots to develop skills, knowledge and understanding in the new Digital Technologies Curriculum. Williams says having Thomas and P!nk there changes the balance of power in the classroom because the teachers' prior knowledge isn't much more than the students'. This year the research project – The Impact of Humanoid Robots on Student Learning 2015-2017 – will be looking to replicate findings from 2015 in new case study schools. It will also be loaning out the technology to two schools for 20 weeks to explore what happens to the rate and range of learning over an extended period of time. For Williams, having a research-base to the project is crucial. 'We're not doing it as an activity – we're doing it because we want to learn deeply about the impact of a disruptive technology like humanoid robots and to be able to have the processes and protocols around rigorous research to enable us to be confident that our findings have validity. Stay tuned: Tomorrow, Teacher will be speaking to one of the educators involved in the research project to find out how staff and students have been working with the robots to develop skills, knowledge and understanding in the new Digital Technologies Curriculum. - What will be the aim? What will your research question be? - Who (inside and outside the school community) will be involved? - What evidence will be collected, who will collect it and when?